KAR is going to be giving a KAR in 2019! 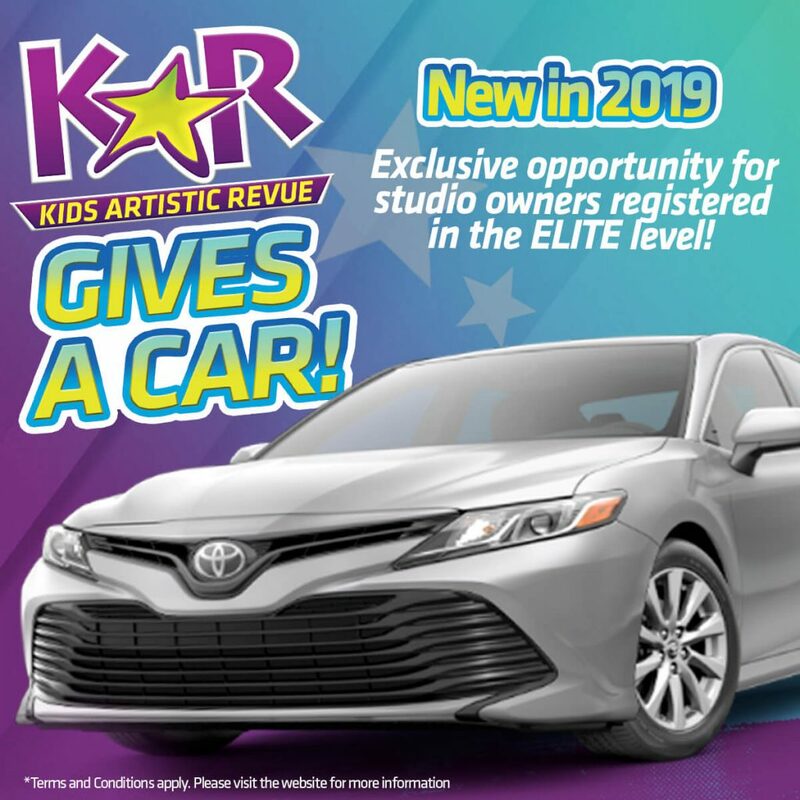 Each Regional ELITE Studio of Excellence WINNER will receive the chance to be entered into the Exclusive drawing for “KAR gives a CAR!” The winner will be determined at the last Finals of the 2019 Competition Season. Check out our finals schedule here. Full details about this amazing opportunity can be found on this page. NEW Low price of $25 per dancer or $35 per family! Regional Tour! For the low price of $25 per dancer or $35 per family, your studio will enjoy ALL your Regional Photos and Videos. The fee is required per dancer and will be due 14 days prior to the start of competition. Parents can access their dancers photos and videos inside their Parent Center online. Photos and Videos will be available 3-5 days after the completion of the competition. Multiple Regional Event Discount – Dancers who compete at multiple Regional KAR competitions do not have to pay an additional media fee! Once a dancer has paid the 2019 Regional media fee, any KAR Regional event they attend thereafter will be complimentary. Let’s go on a Cruise to MEXICO! If your studio is competing in the Elite level this opportunity is for you! Elite Studio of Excellence Award Winners receives a Carnival Cruise to MEXICO for the Studio Owner! Studio of Excellence Award: At each Regional Competition and National Finals the Elite Studio presented the Studio of Excellence Award will be invited to the 2019 KAR Mexican Cruise departing from Long Beach, CA in November 2019. More details can be found on this page.